Four different shapes, each with a natural texture and irregular contour, combine for a beautiful project with the look of natural stone, at a fraction of the cost. The Multy Home Envirotile 18 in. x 18 in. Reversible Stepping Stone is made of lightweight and portable recycled rubber tire for an environmentally-friendly product that is easy to install. The Tivoli slab borrows its unique texture and richness from a natural stone. Perfectly combining both rustic and contemporary designs, the Tivoli slab offers an irregular and almost organic effect which will withstand through the years with great taste. Kendo Stepping Stone, Grey Four different shapes, each with a natural texture and irregular contour, combine for a beautiful project with the look of natural stone, at a fraction of the cost. 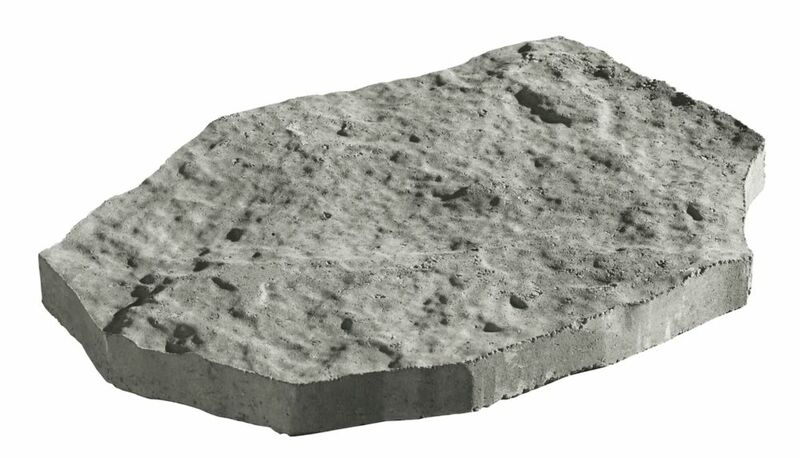 Kendo Stepping Stone, Grey is rated 5.0 out of 5 by 1. Rated 5 out of 5 by Arctic Apple from Wonderful stepping stones We bought these stepping stones to add to our path of stepping stones and they are perfect in colour and size. We bought both the small and larger size and they are a wonderful addition to our gravel garden path, I’d definitely buy them again!